Every great journey starts with a small step. 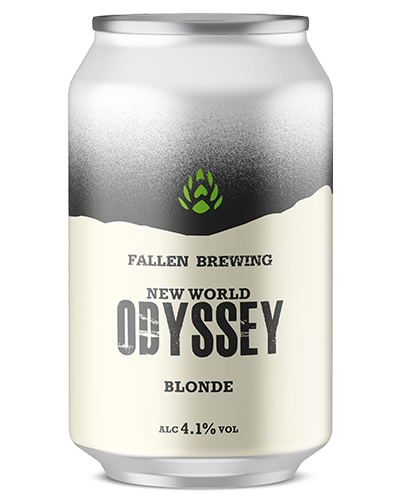 Odyssey was the first beer created by Fallen Brewing and is still our flagship recipe. Brewed with classic Pilsner ingredients this is an ale for lager lovers or a lager for ale lovers. Smooth and pale with a fruity aroma and slightly spicy, citrusy flavour. Hops – Saaz, Citra, Mosaic.